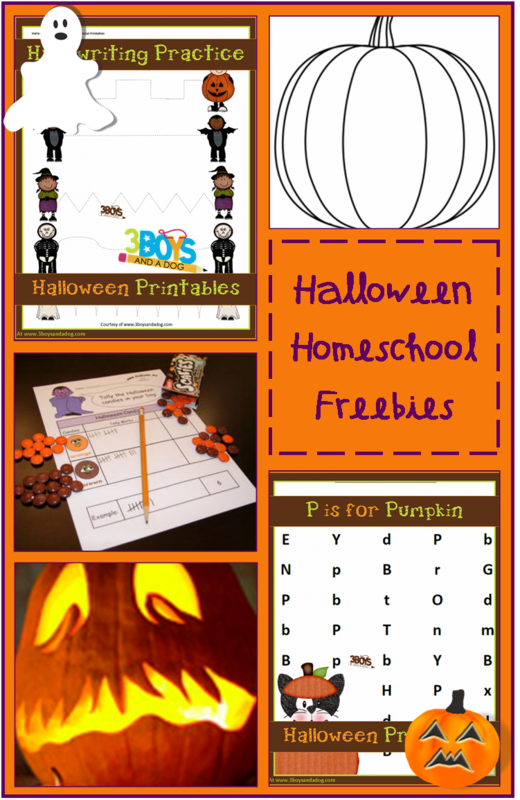 I had such a blast putting together the Halloween Homeschooling Freebies by Subject post for Crystal and Company, that I jumped at the chance to do it again, but this time for Thanksgiving! Thanksgiving should be a MAJOR Holiday for us here in the States, but it gets skipped over pretty quickly in favorite of the bright colors of Christmas. That isn’t fair, is it? Let’s take the next few weeks and teach our kids about the importance of this Holiday! 1. Thankful Math – solve subtraction and simple multiplication problems to figure out the saying! 2. Math Drills – lots of Thanksgiving math sheets like Comparing Turkey Numbers, Turkey Block Addition, and Cornucopia Multiply! 3. Fun with Thanksgiving Math – Unique ways to incorporate Thanksgiving into your math lessons. One that really caught my eye was \”How long will your Turkey need to be cooked.\” How fun! 4. Logic: Thanksgiving Dinner Problem – online logic game! 5. 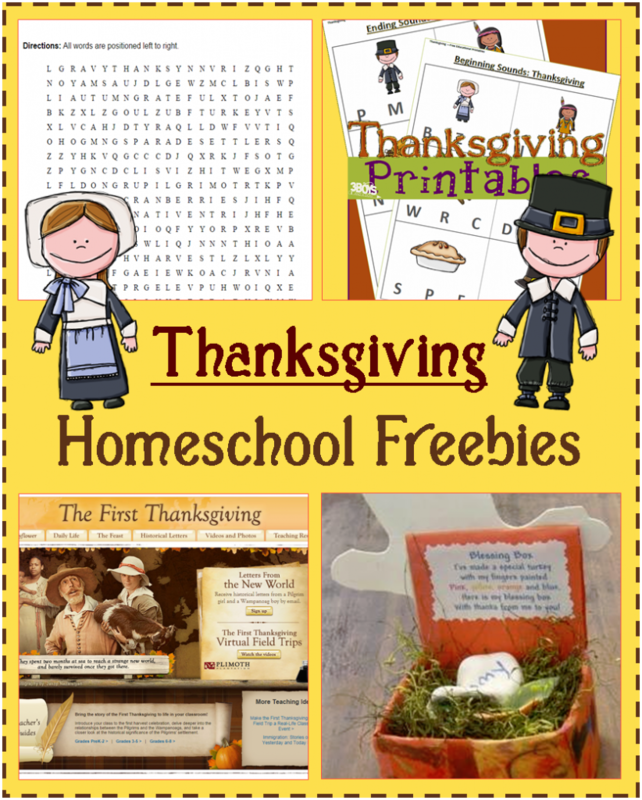 Thanksgiving Compare and Contrast – several comparing and contrasting worksheets for all grade levels. 1. Do the Research! Research the Thanksgiving themed topic and answer the questions! 3. Thanksgiving Words: Spanish Vocabulary – full list of Spanish words and their translations for your Spanish learner! 4. Sign Language for Thanksgiving – This article describes some essential signs for discussing the holiday in general as well as the foods commonly served at Thanksgiving dinner. Plus, a free printable download of the signs! This is REALLY neat for your homeschooler! 5. Reading Comprehension – Story of the First Thanksgiving with questions. 1. Thanksgiving Coloring Pages – LOTS of coloring pages from Pumpkins to Turkeys! 4. Paper Bag Turkey – This paper bag Tom Turkey is too cute and pretty simple, too! 5. Blessing Boxes – Create Blessing boxes to show what you are thankful for this Thanksgiving! 1. The First Thanksgiving – Really neat web quest that leads you on a \”field trip around the world wide web)! Seriously, this is pretty awesome! 2. Thanksgiving by The History Channel – Pretty in depth article on the History of Thanksgiving\”¦ includes videos, links, and recommended articles! Great for your High School Students. 3. The FIRST Thanksgiving Proclamation – June 20, 1676! 4. Plymouth: Its History and Its People! 5. Mayflower History – great site that EVERYONE should have in the bookmarks list! 1. Plan a Thanksgiving Meal! Cute story and web quest! Kelli gives you hints and tips on how you can save money homeschooling and homemaking! At Deals_3BD she posts coupon/ad matchups, the best homeschooling deals, printable coupons, and kid friendly recipes.